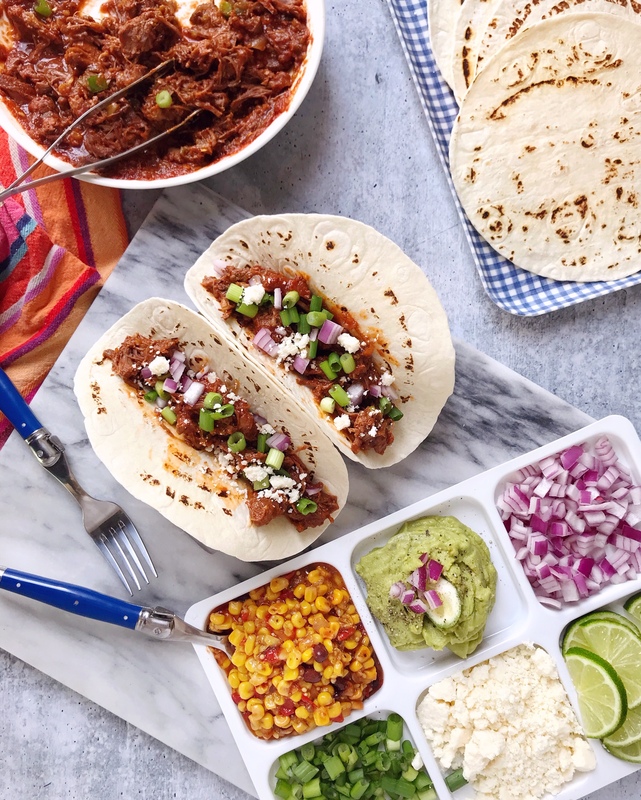 Instant Pot Green Chili Beef Tacos. Drizzle olive oil in Instant Pot and set to sauté mode. Add cubed beef, diced onion and minced jalapenos to the Instant Pot and sauté for 5 minutes. After 5 minutes, add spices: garlic powder, onion powder, cumin and chili powder. Stir to coat the beef, then add chopped green chilies, tomato paste, and beef broth. Close the Instant Pot and set to high pressure for 40 minutes. After the beef is done, use a slotted spoon to remove the pieces and transfer to a bowl. 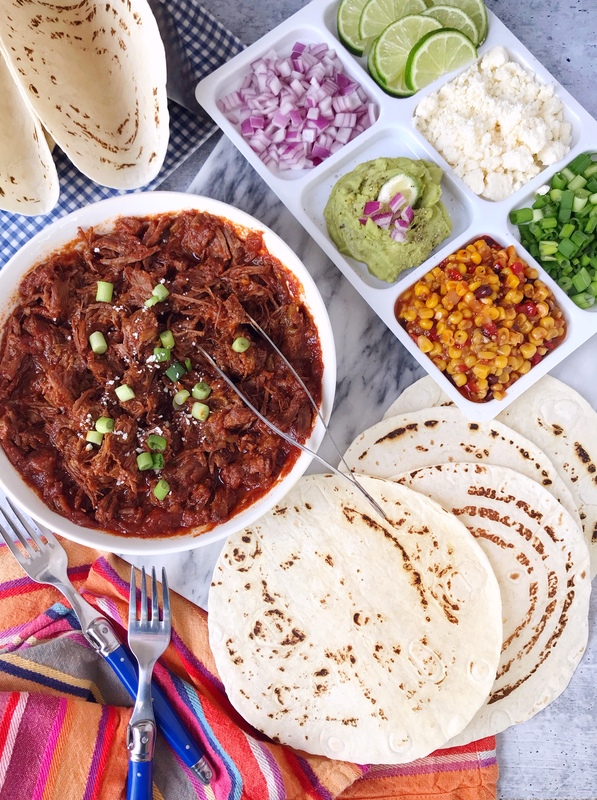 Use two forks to shred the beef and add back in any liquid from the Instant Pot you need to coat the pieces with the sauce. 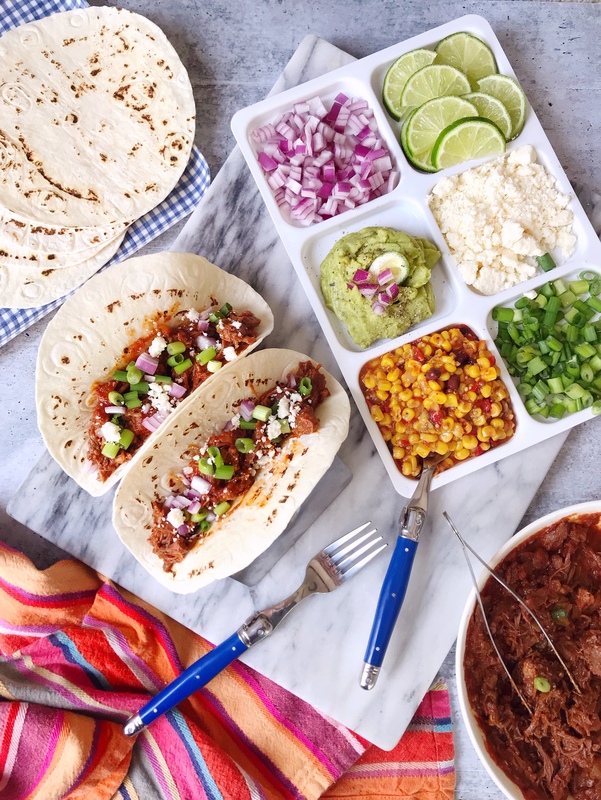 Serve warm with tortillas and taco toppings of your choice. Dark Chocolate and Salted Caramel Milk and Cookies. Valentine’s Day Grazing Board.